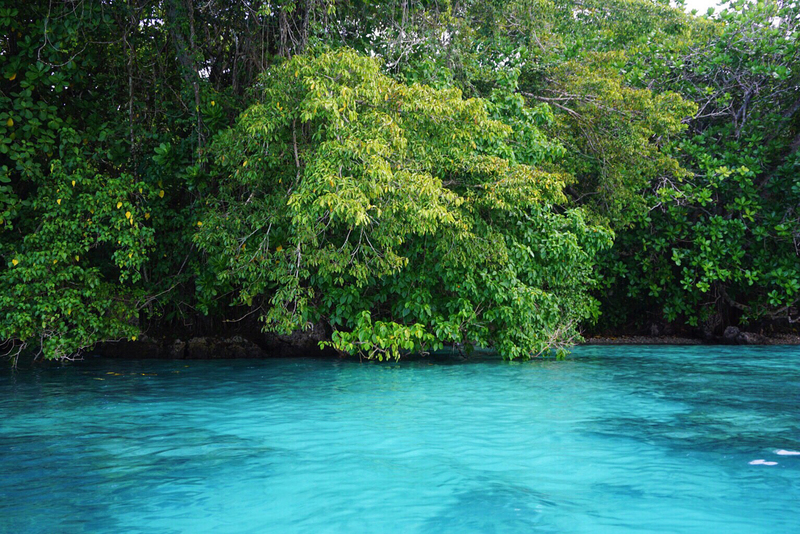 I’ve travelled to quite a few island destinations so far in my lifetime, but very few compare to the raw beauty and tropical richness that is Vanuatu. I ventured to the islands of Vanuatu in late December 2015 and it exceeded all of my predisposed expectations, but most notably, Champagne Bay – Espiritu Santo. We travelled with Princess Cruises on a ten-day journey throughout the New Caledonia and Vanuatu archipelagos with a two-day stop over on the island of Espiritu Santo, Vanuatu. Our ship anchored offshore by the incredible Champagne Bay stretch, nestled in amongst thick rainforest that intertwined along side the electric blue waters of Champagne Bay. This location was like nothing I’d ever seen. It even rivalled that of the Cook Islands, which (in my opinion) is saying something. With two days of explorations to be had, I had already pre-planned a rough idea of what I wanted to see whilst visiting Espiritu Santo. 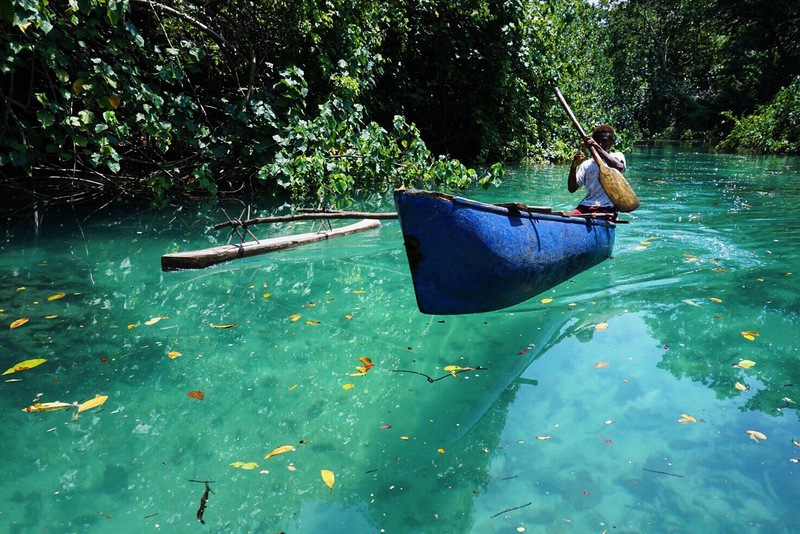 A trip to the Riri River Blue Hole was one of them, accompanied by a trip down the Riri River in a traditional Vanuatuan canoe – One of many bucket list items. I was determined to photograph the Riri River itself, and the blue hole that it subsequently led to. Along with a trip to the Riri River and Riri Blue Hole, we adventured to two other blue lagoons. The Matevulu Blue Hole and the Nanda Blue Hole. Each has an entry cost payable to the owner of the land and is fairly minimal (AUD $5-10). 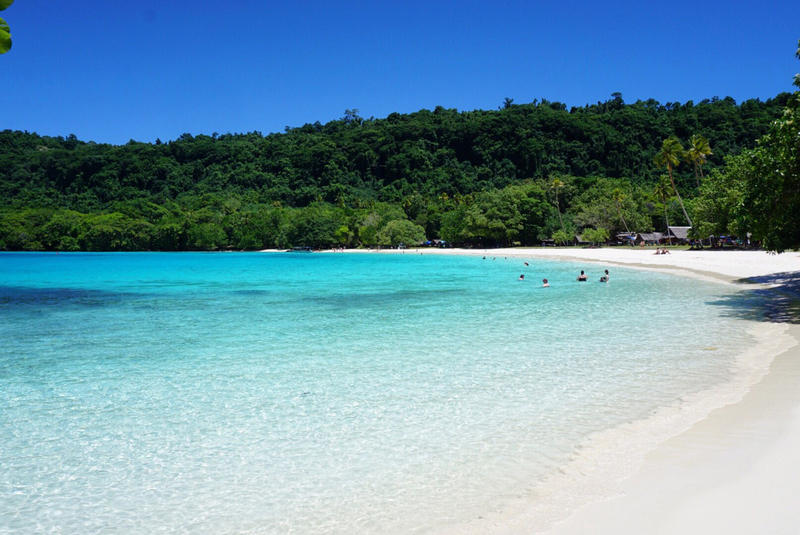 Although the highlight of a visit to Espiritu Santo is without a doubt its beaches and magical blue lagoons, hiring a local to drive you to each part of the island is well worth it to truly experience what Vanuatu has on offer. Nothing beats cruising around in the back of a beat up Ute with not a single worry in the world – the wind ripping past your face and the friendly cheers and waves from the locals is hard to beat – Such an ultimate contrast to the western world where our creature comforts are often taken for granted. The Vanuatu jungle is wild. Its landscapes, breathtaking. Having travelled on a cruise ship, most families and individuals had opted to purchase their tours through the cruise company. This option is not only far more expensive, but you also leave later in the day and have less control over what you get to see and do throughout the day. 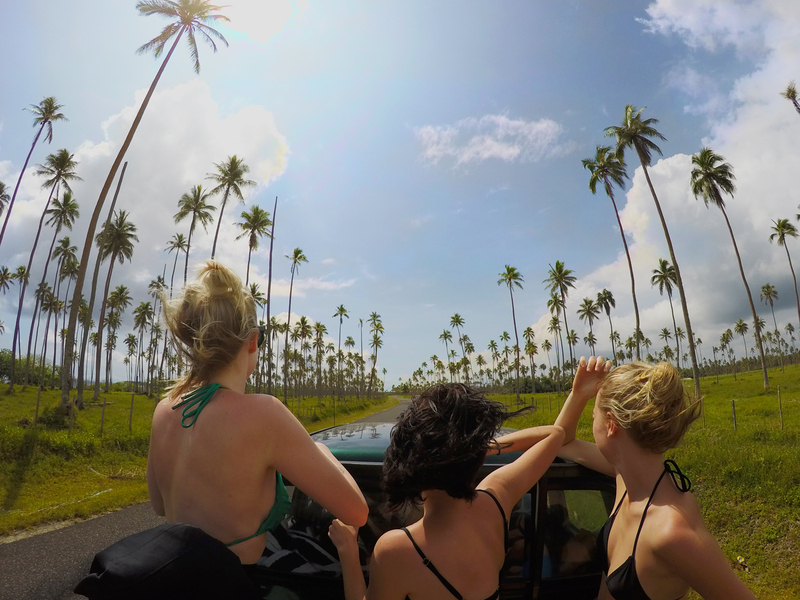 I can’t emphasise enough, the importance of experiencing travelling like a local. Not only will this cost you a fraction of the price (sometimes two thirds cheaper than that of a pre-booked cruise tour), but you also get to travel in a way that is so free and fulfilling – soul enriching. 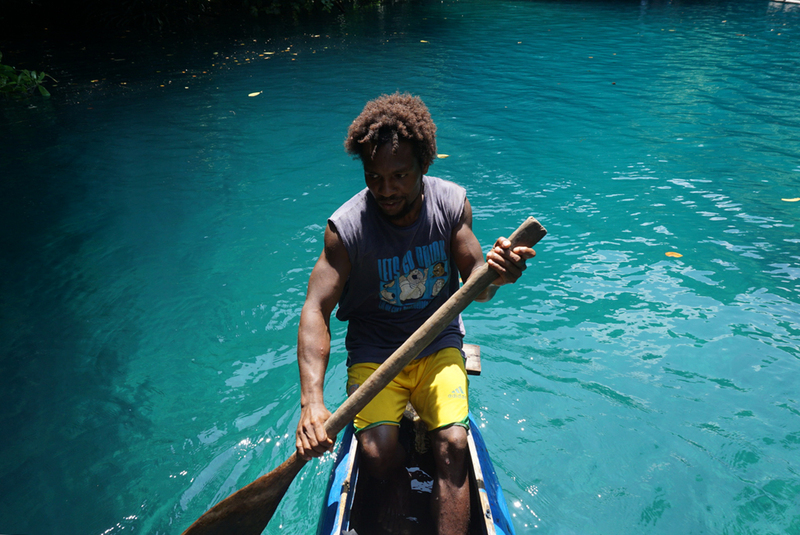 We booked our day once we arrived onto Champagne Bay through a couple of local Vanuatu guides. They know the island inside out and offered prices that just can’t be beaten. We paid $25 to be driven in the back of Ute around the island on the first day to experience so many incredible places. The second day cost approximately $30 each, which included a stop in Luganville (Espiritu Santo’s capital) for lunch (optional). Be sure to budget an extra AUD $5-10 for entry into each blue hole on top of that – An absolute bargain and the best experience you can possibly get whilst visiting the island. 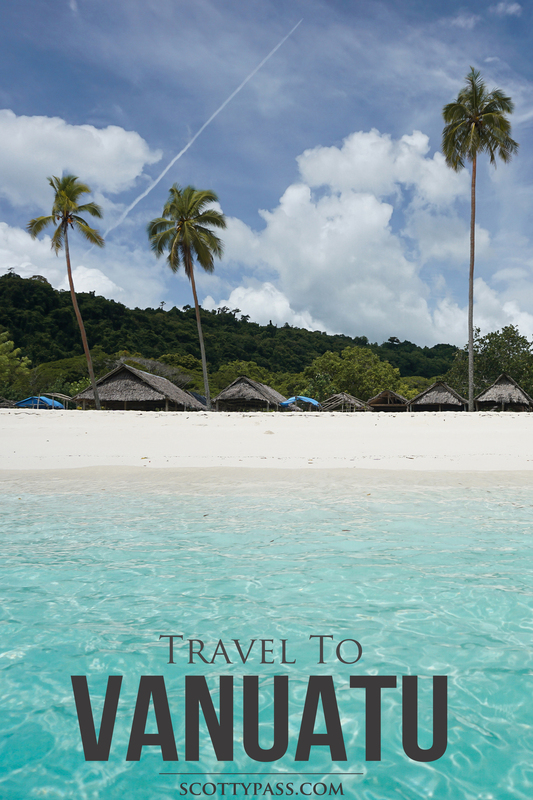 At the end of each day, we arrived safely back at Champagne Bay and enjoyed a relaxing swim and snorkel along the jungle and palm fringed beach. Even the sand is draw dropping – A white silica sand beach just beckons you to the waters edge. Espiritu Santo is without a doubt a must do for any traveller and adventure seeking enthusiast. Check out my feature video on Vanuatu in the link below. Initially i created the site myself, but then opted to have a theme supplied by complete themes. They have a few select themes to choose from. This theme is called ‘chosen’.